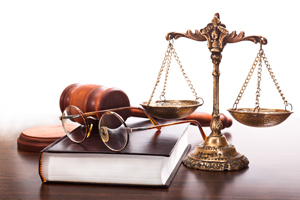 Contact Our Medical Malpractice Attorney Tampa for the Best Advises! We have all known someone in this situation: misdiagnosis of an illness that costs the afflicted person and their family precious time, resources, pain and suffering. Incorrect course of treatment. Botched surgery resulting in permanent damage or even death. In a time where you and your loved ones are most vulnerable, it is especially difficult to face medical complications and challenging setbacks due to preventable human error. Medical malpractice is defined as any improper, unskilled or negligent treatment of a patient by a physician, dentist, nurse, pharmacist or other health care professional. Proof of the injury can include the physical effects of treatment performed; both temporary and permanent, but can also include emotional side effects or trauma. In Florida, there are complex liens against settlement proceeds from Medicare and Medicaid and even private health insurance companies which can make a medical malpractice case difficult to consider without strong legal guidance. If you or a loved one are victims of medical malpractice, please don’t try and pursue justice alone. Let Stolberg & Townsend, P.A. be your advocate. We will provide detailed analysis of all elements of liability, causation and damage, and pursue restitution on your behalf. Battle Any Medical Misdiagnosis with Our Medical Malpractice Lawyers!